A juicy hamburger or thick steak is a favorite for many meat-eaters but each can be high in fat and calories. 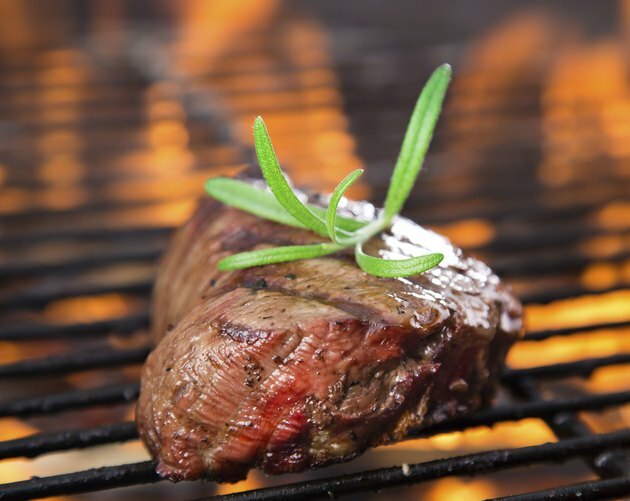 Depending on what cut of meat you choose, beef can play a healthy part in your diet. The Vermont Department of Health reports that many of the most popular cuts taste good because they contain some fat, which contributes to the taste. 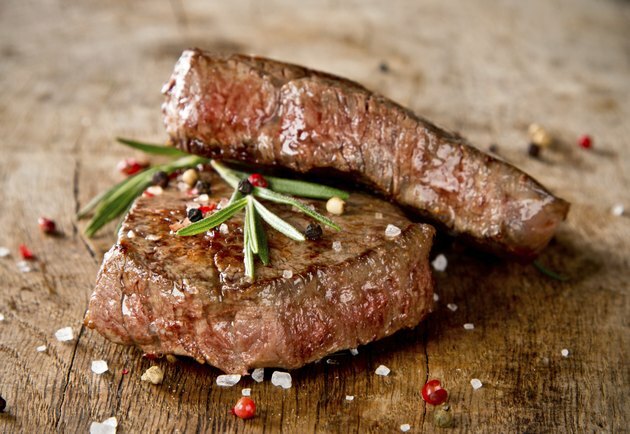 This can lead to an unhealthy consumption of saturated fat; however, opting for leaner choices allows beef, when eaten in moderation, to have a place in your healthy eating plan. Protein is a nutrient found throughout the body, including hair, nails, skin, bones and muscles. The amino acids in protein foods work together to promote strong and healthy muscles. 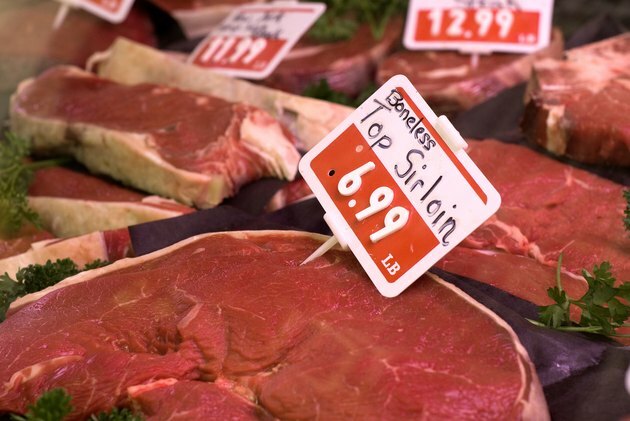 All beef cuts supply protein, but choosing the leanest cuts, such as top round, bottom round or top sirloin, are your healthiest choices. These cuts supply about 50 percent of your daily protein needs in a 3-ounce serving, but are considered the lowest in fat and calories. According to the Harvard School of Public Health, you need 2.4 micrograms of vitamin B-12 every day. A 3-ounce serving of lean beef supplies 37 percent of your daily vitamin B-12 needs. One of the most important things that vitamin B-12 does is help turn your food into energy to fuel your body. Vitamin B-12 deficiencies can lead to memory problems, tingling in the arms and legs, disorientation and hallucinations. 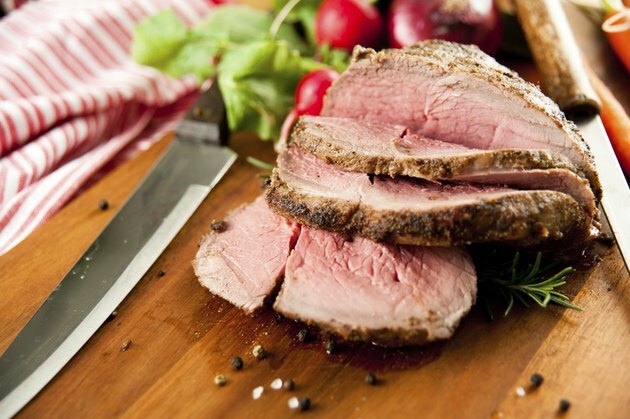 Adding lean beef to your diet can help you reach your daily vitamin B-12 needs. Another key nutrient in beef is zinc. You need sufficient amounts in your daily diet because it helps support a healthy and strong immune system and also contributes to injury healing. 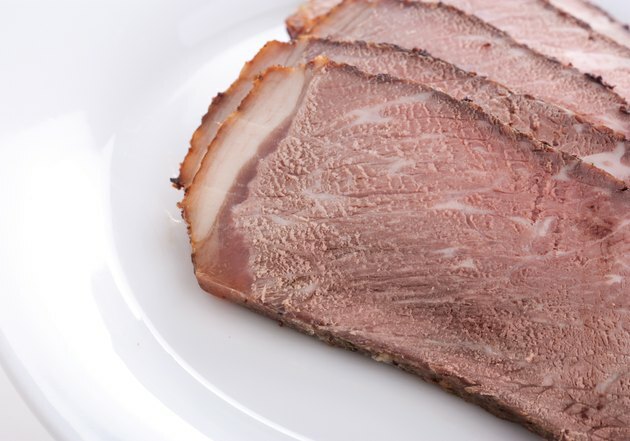 A 3-ounce portion of lean beef supplies 39 percent of the zinc you need to consume each day. You get just as much zinc from lean cuts of beef, including top round and shoulder pot roast, so choose the meats with the least amount of fat to get the most nutritional benefit. Beef contains a wealth of other vitamins and minerals that have an important place in your diet. A 3-ounce serving of lean beef supplies 14 percent of your daily iron needs. Iron enables your body to produce healthy red blood cells that can more efficiently transport oxygen throughout your system. Lean beef is also a good source of several B vitamins, including niacin and riboflavin, which help you get energy from the food you eat. How Healthy Is Bison Meat?